$100 at Zappos, and the red is VERY tempting. Oh the red is very tempting. 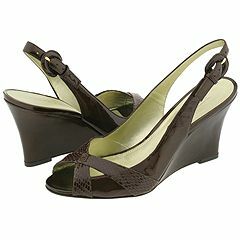 I love the shoe but wedges are tough for me to wear. Somehow I teeter more in those than in heels.